Kyndi™ will be presenting at this year’s O’Reilly AI Conference Startup Showcase. We are one of ten innovative startups selected to present on Wednesday, September 5th at the Hilton Union Square in San Francisco. 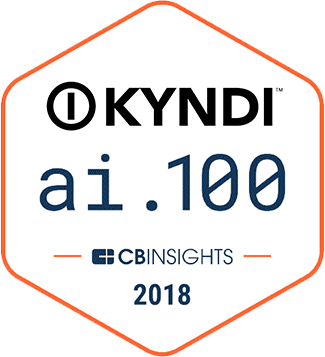 Judges and attendees will see demonstrations of Kyndi’s transformative AI technologies, and a winner will be announced during keynotes on Thursday, September 6th. If you plan on attending the event, please stop by our table and say hello. We hope to see you there. The O’Reilly AI Conference is where cutting-edge science meets new business implementation. It’s a deep dive into emerging AI techniques and technologies with a focus on how to use it in real-world implementations. Annual conferences are held in San Francisco, London, New York, and Beijing. The AI Conference is co-presented by Intel Nervana.